Falmouth Fishing Trips : Let’s go fishing! Falmouth Fishing Trips : Let's go fishing! Full Equipment Provided: Let’s Go Fishing! Catch your own fish: Let’s Go Fishing! Hello we’re here to take you on a Falmouth fishing trip in southern Cornwall. 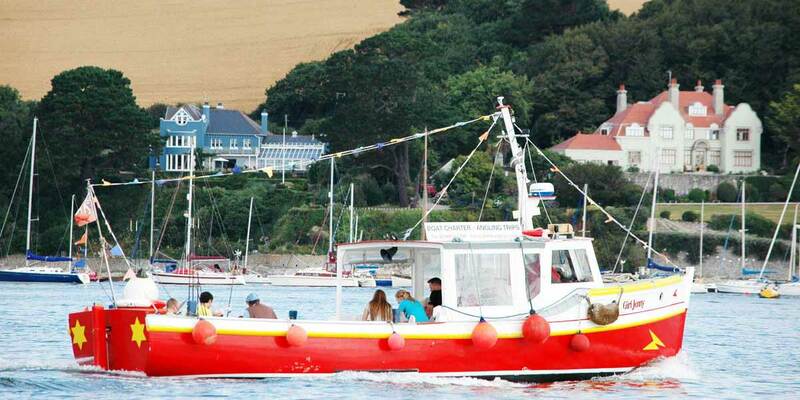 We’ve been running falmouth fishing trips three times a day from Falmouth in Cornwall for generations. In fact our grandfather started the industry back in the 1950s. You’ll find our fishing trip boats are spacious and custom designed for easy fishing. You wont be with more 12 per fishing trip. Call now to book a spot, we do book up fast so it’s always worth ensuring we save a space for you on our fishing trips.